I'm using a Toshiba Satellite and Windows 8. 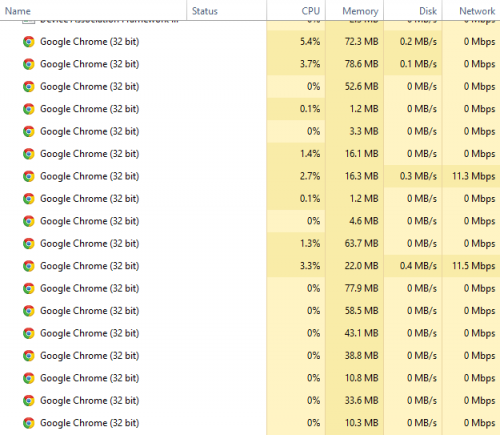 Recently, in the last day or two, my Google Chrome volume stopped working. 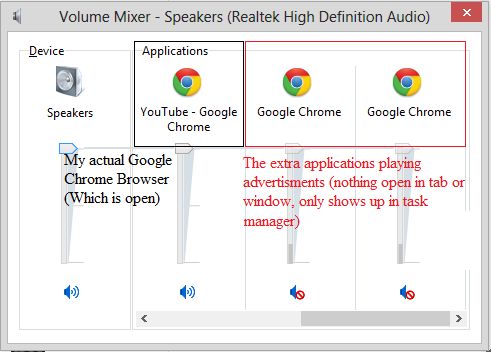 I quickly found out that in the Volume Mixer I have one or two extra Google Chrome Applications open. They are both always muted, and if I unmute them, they become muted almost instantly again. When unmuted, the applications have advertisements playing. The applications do not have actual windows or tabs open in my browser. When I end the extra tasks(between 8 to 14 tasks), they open up again. 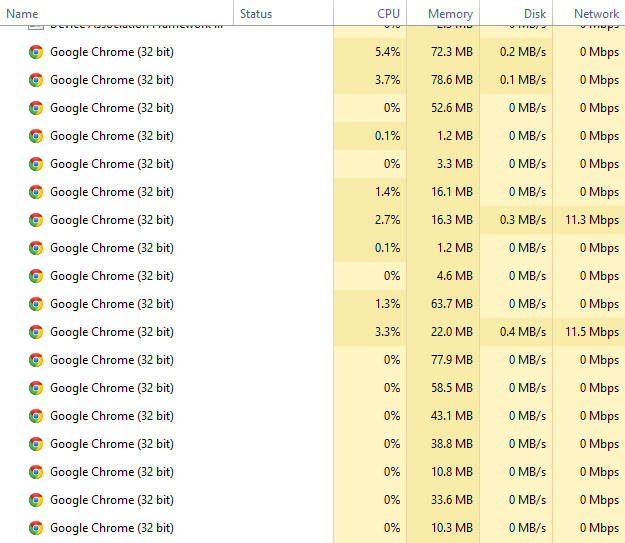 My actual Google Chrome browser volume does not work unless I unmute it, which it stays unmuted unlike the other Chrome applications. The Google Chrome application that I am using does not start off unmuted as default; I have to go there and unmute it every time. I think this might be from some program instillations, such as GigaClicks Crawler, which I did not download. When I try to uninstall the program, I receive this message: "You do not have sufficient access to uninstall GigaClicks Crawler. Please contact your system administrator". The account that I am on, which is my laptop's only account, is the administrator. I don't know if my issue is because of this certain program or another. The only reason I bring up my suspicion of this program is because I had seen it on another thread and because I could not uninstall it. I would greatly appreciate any assistance with fixing my problem. Thank you. Edited by danpajun, 03 November 2013 - 01:32 AM. Resolved. No need for assistance.